Difference Screen presented 11 screenings in India in a fast moving programme beginning at Bangalore before moving to the North East – Assam, Nagaland, Santiniketan and Calcutta. If Difference Screen is a celebration of difference, then India with its diversity of peoples, cultures, languages and religions represents difference unparalleled elsewhere. Bangalore is the IT capital of India, considered by many to be its most happening city. Our invitation to screen in Bangalore came through artist Surekha, whose work internationally has included Spike Island, Bristol and the Asian Triennial, Manchester. Surekha has also been instrumental in assisting with artists’ workshops through Khoj India and the Triangle Trust and the development of Metro Arts Centre, Bangalore. The first screening took place at Chitrakala Parishath, the Arts University for Karnataka and was organized by art historian H.A. Anil Kumar. To my surprise and delight the screening was preceded by high tea for the audience. 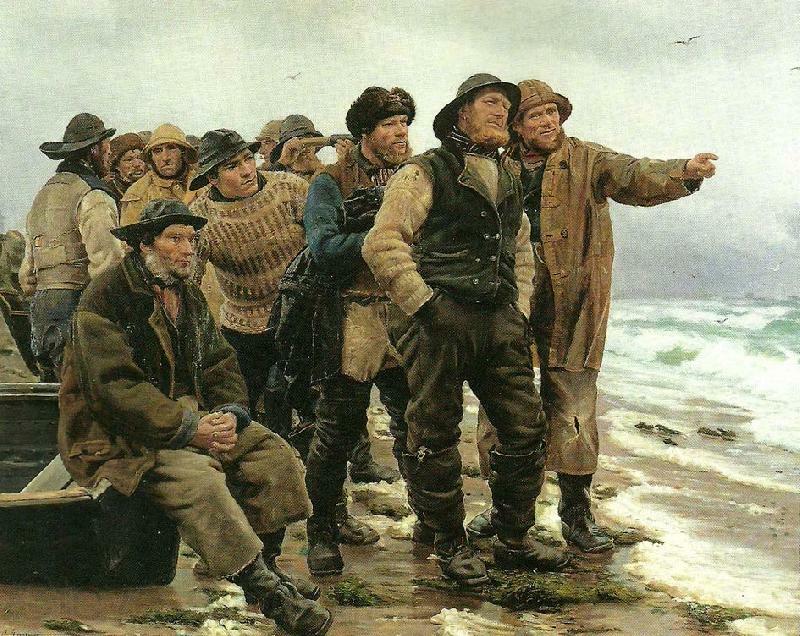 Many people, students, staff and an interested public attended including art critic K.V. Subramanyan. I often admire the easy-going charm of curators that I meet coming from outside India. Bruce Allan the curator of ‘Difference Screen’ ate snacks and drank tea with the students before the screening began. As he jokes about how this could have been called ‘High tea’ I asked him what High tea really was. Bruce, an artist and curator travelling with dozens of hard hitting and poignant videos explained how his grandmother had sat down to tea and sandwiches to great ceremony and how it had been a very important daily event in their lives. I was truly taken by surprise at his answering my question with such humour. I am often reluctant to approach Indian artists and curators but very strangely the ones that travel to India are very open to answering questions without qualms of being on top of the hierarchy and handle the silliest-banal to the most intellectually stimulating questions with equal élan and patience. Difference Screen is a collection of videos talking about changing landscapes, identity and culture in the contemporary world. There are films from all over the world and some were filmed earlier too, but the essence is one of a world in flux. The films were screened first in the UK where Margaret Thatcher had closed and devastated coal mining during her tenure. An ancient iron mine was the first venue for the screening. Bruce Allan curated the films along with Ben Eastop and has been travelling with the collection for the past few years. After the UK the films were shown in Mongolia. That gives an idea of how the curators are envisioning their audience in a much broader sense than what we usually see. We watched a dozen films or so and the variety was myriad. There were slickly produced performances to a quick almost life threatening protest filmed with the least ceremony. Alina Ozerova’s documentary essay double F for Final Fantasy consisted of archival footage of friends and relatives who had managed to travel in the Soviet Union during the time of the cold war. A sense of freedom and fascination came through the scratchy images and the white noise. Hollywood by Daniel Brefin was an aural revisitation of Georgia under Stalin’s rule with people talking over the photographic visuals of the past. A theatre has been converted into a church now and is talked about fondly and kisses given there remembered, while a trace of inhibition creeps in with the man questioning if the church should be there now; if it was a profane space for a sacred one. Bruce Allan recalled how prior to the coming of President Mikhail Saakashvili, Georgia was rampantly corrupt and how the places in the photographs are permanently transformed today. One of the most memorable films happened to be Walk of the Three Chairs by Breda Beban from Serbia. The film documents a choir-like male band playing instruments and singing on the Danube, Belgrade where they teach the artist herself to sing the very same song. As she learns the song and loses inhibition, the artist performs a Balkan Pagan ritual where a person is honoured by letting their feet not touch the ground with assistants constantly placing chairs under their step. Exhibitionist in Iran by Sophia Tabatadze was probably the most powerful video where a woman is approached by the camera and in a trifle of a moment she unfurls her scarf makes a face at the camera and she’s back with scarf in place as if nothing has transpired. In the last few decades Iran has continually become more fundamental in its take on religion and its ascending control on oppressing women’s freedom is well known. In Persepolis Marjane Satrapi worries for her life at one juncture, because she is wearing lipstick and the Muttawa or culture police are close by her. The video is truly an act of bravery and a most simple one at that. Seeds was an incredible, nerve racking performance by artist Shahar Marcus who is well known for his performances. In an act where men dressed in bomb proof clothing search a strip of desert land methodically for mines, the threshold between reality, performance and drama easily lose edge. Marcus is from Israel and as a counter film there was Al Hissan- The Jenin Horse by Thomas Kilpper shot in Palestine where he constructed a ceremonial horse out of debris from the war. With children and an activist he travelled with the horse through Palestine and the documentary footage gives a wonderful idea of how life is in Palestine and how passionate the people are for their country. The fact that they can get killed any moment keeps coming through in the video. If Exhibitionist in Iran is one kind of protest, this is another and one with everything and everyone involved in it putting their lives on stakes for it. Mikhail Karikis and Uriel Orlow’s Sounds from Beneath was a choir of miners powerfully reproducing the sounds of a mine shaft. They begin with winds, to tools raking sand to the whooshing sound of falling material. Watching Difference Screen and meeting Bruce Allan reminded me that Art transcends languages and cultures to give that sense of an over the continent hand-shake. During the films a sense of knowing and connecting with people from all over the world, took place. These films showed a world showing dissent and love for oneself and others and it was so unlike the reportage of news and its associated apathy that the audience simply had to embrace it for whatever it stood for. Difference Screen is brilliant curation and mission and is an example of what Art could be, today. Many of the films are available online for viewing. Following two successful screenings in Bangalore I took an early flight to Jorhat, Assam via Calcutta. I was going home! My host, Suresh Gogoi met me at the airport for the short drive to Nandan’s guest house near the Jorhat Gymkhana Club. The Gymkhana Club was a haunt of my father Peter during his years as a tea planter in the district between 1926-1963. My formative years were spent at Dhoolie Tea Estate in the 1950s and this trip took me back there, to the warmth and hospitality of several families who had worked at Dhoolie. Artist Tridib Dutta organised two screenings in Jorhat at the Science Centre Auditorium. Tridib publicised the events with posters and articles in all local papers. On 15 November we showed one film only. Alexander Rekviashvili’s lyrical documentary Last People showing life in a remote village in the Caucasus mountains of Georgia and the extraordinary affinity of people to place, each other and their animals. Abhijit Borah wrote “Difference Screen was true to the words. Life of octogenarians in Georgia… Marvelous documentation”. Rupjyoti Mahanta, director of Replica Arts Theatre, Jorhat also attended the screening and invited us to spend the evening with Replica at Prantapur, their village location near Jorhat. A memorable and dramatic evening followed with actors performing short pieces outdoors in barely illuminated darkness. Artists’ short films had never been seen in Nagaland and provoked much interest. Bruce introduced the context of each film to help interpretation and understanding. The screening was well received with informed questions from an audience of around 100 students, staff and others. Headmaster Mr Kikon (you can remember my name, its like Nikon) hoped for collaboration and the chance to see more films in the future. front row: Headmistress Mrs Kikon, Tridib, Bruce, Headmaster Mr Kikon, Limasangwa Aonok. Standing behind Mrs Kikon is Lenti Aier who presented Bruce with a Naga tie. As the tribespeople adopted Christianity, they began to develop more of a “Naga” identity, a radical departure from their distinctions based on warring tribal villages. Today, more than 95% of Naga people identify as Christians, mostly Baptist. Naga society has changed markedly from what Europeans observed 100 years ago. Christianity and the missionaries became a stronger force for change in social and cultural practices than the government. Thong, Tezenlo (December 2010). “Thy Kingdom Come’: The Impact of Colonization and Proselytization on Religion among the Nagas”. Journal of Asian and African Studies 45 (6): 595–609. doi:10.1177/0021909610373915. Retrieved 1 May 2012. The Nagas Julian Jacobs, Chapter 15 ‘Nagaland Today’ page 176, Thames and Hudson 1990. The 2pm screening took place in the Conference room followed by Q/A including discussion with Prof. Dhruba Saikia on the use of mobile phones for making short films. Dhruba Saikia proposed the possibility of a University creative mobile short film project. Prescreening lunch with Associate Professors Draghima, Sociology Faculty, Dimpy Mahanta, Psychology Dept., Indrani, Sociology Dept. Arriving in Calcutta I spent three nights with Shohini Gupta and her mother Sritti. Sritti’s husband, artist and designer Abhijit Gupta passed away suddenly, unexpectedly, a year previously succumbing to a rare virus. Abhida was an inspirational human being and is sadly missed by those who knew him in Calcutta. I stayed in his former studio let out as an airbnb surrounded by the incisive humour of his work. I had wanted to visit Santiniketan for years and now I was on my way. After a late and lively Calcutta party with Chhatrapati Dutta and friends I boarded the 10:10 Santiniketan Express at Howrah Station. Arriving at Bolpur, the station for Santiniketan, I took a tuktuk auto to the Art campus, Kala Bhavana, Visva Bharati University. Many tuktuks are now LPG fuelled and some are electric, a strikingly silent means of transport. The wonderful openness of the campus greeted me and I found art historian Anshuman Dasgupta beneath a tree outside the college canteen. I first met Anshuman at Khoj Kolkata international artists’ workshop in 2006, Ben Eastop, Anshuman and I worked together at a conference ‘Two Rivers’ organized by Mriganka Madhukaillya and Sonal Jain at Periferry, Guwahati in 2009. Anshuman recently completed his PhD at Goldsmiths and invited us to show Difference Screen at Santiniketan. There are no tall buildings at Kala Bhavana, much space, many trees and outdoor seating with notable buildings painted by acclaimed artist K.G. Subramanyan. Kala Bhavana, Visva Bharati was preparing for the annual art fair Nandan Mela held at the beginning of December each year. Despite the demands of preparation for this Difference Screen attracted good audiences over two evenings 27/28 November. Students continued to arrive during Anshuman’s introduction and 50 stayed despite a surprising lack of chairs. I invited the audience to come and speak to me on the campus over the following days. Amongst those who did, was MFA student Aniket Supe keen to discuss short films taken on his mobile phone. Aleksandra Janik and Magdalena Hlawacz joined me on the 28th. Aleksandra (Ola) is Vice Dean of The Faculty of Graphics and Media Art at the Academy of Art and Design, Wroclaw, Poland; Magda is Professor of Fine Art at Opole University Institute of Art. The visit was their first trip to India and we had the pleasure of staying together in Paula Sengupta’s Santiniketan house. We had an excellent informal meeting with the staff of the printmaking department at a party for Prof. Sham Sunder, formerly head of printmaking at the University of Hyderabad. The following day Prof. Dr. Nirmalevolu Das and his team showed us around the printmaking department with the chance for presentations and discussion on further collaboration between universities. Original prints, painting and graphic work featured on calendars for sale during the Mela. Each calendar consisted of three pages, each page carrying an original image above four printed months, an excellent and affordable way of promoting the art school and selling art. Sanchayan Ghosh, Associate Professor, Department of Painting, Kala Bhavana, Visva Bhararti came to both Difference Screen evenings. I first met Sanchayan at Khoj Kolkata 2006, our paths hadn’t crossed during his 2003/4 residency at Spike Island, Bristol. Sanchayan’s wife Ranjani Ramachandaran a singer and lecturer in the Faculty of Music came to the second screening, when singing and music infused a number of works. Ranjani is writing about the experience. Back in Calcutta we made our way to the Sunflower Guest House, a recommended place to stay in central Calcutta close to the shops and restaurants of Park Street and Sudder Street, the India Museum and Maidan. The Guest House has a 100 year old lift made in London that is well maintained, manned by a helpul operator and offers excellent service. 2nd Little Cinema is organised by Madhuja Mukerjee and supported by Avik Mukhopadhyay founders of TENT (Theatre for Experiments in New Technologies) in association with Studio 21, Goethe-Institute/Max Mueller Bhavan, Kolkata, India Foundation for the Arts, Unbound Studio and Difference Screen. ‘Difference Screen’ at TENT Little Cinema International Festival, Kolkata, India, December 2015. This theory of an archaeology of the image helps show how intercultural cinema expresses the disjunction between orders of knowledge, such as official history and private memory, by juxtaposing different orders of image, or image and sound tracks, that do not correspond to each other. Intercultural cinema reveals new history as it is being formed, the new combination of words and things that can not be read in the existing languages but calls for new, as yet unformulated language. Tournant (00:39 mins) that, urges the viewer to look at the location through a screen that is slowly catching fire. Who is looking and at what one wonders, as the camera frantically moves 360 degrees. Indeed, the world of cinema is churning, and excavating personal/political imageries, which inform us that ‘difference’ is a new form of assertion and articulation, and that a new history of politics and culture is in the making. A taxi strike made for an interesting journey across the city for the opening of 2nd Little Cinema. Manas Acharya at Studio 21 suggested a metro from Park Street to Kalighat and on to Gariahat by tuktuk. Surviving the rush hour squeeze I surfaced at Kalighat and crossed the road to the tuktuk ‘auto’ stand. Many tuktuks were parked waiting for custom, I soon realized it wasn’t mine – I was directed across the street to traffic going the other way. Standing beside a junction in the rain it became apparent that all vehicles were full and it could take a long time. I saw a friendly face on a motorbike and asked the driver what to do, he invited me to hop on behind and, as luck would have it, he, Suresh was going to Gariahat too. Somewhere in the bylanes of Gariahat we stopped to locate and Suresh bought me tea. Studio 21 turned out to be around the corner, I suggested walking but Suresh insisted on taking me to the door. Studio 21 is an interdisciplinary project space supported by CIMA, Centre of International Modern Art. CIMA Chief Administrator Pratiti Basu Sarkar attended the opening. Norwegian filmmaker Tarje Eikanger Gulaksen and his partner Camilla also came. Tarje’s feature length documentary about the Clive House in Kolkata Objects in the mirror are as they appear was shown at the Goethe-Institute on 8 Dec. The Clive House is one of the earliest examples of European architecture in Kolkata, Tarje’s film is a portrait of the house and of some of the families who live in the ruins, descendants of refugees who moved to Kolkata after partition. Unbound Studio is a multi-disciplinary platform located in Pune, India. It is founded with an interest to communicate through the various mediums of contemporary art and design. Unbound Studio aims to reach out to the wider community, bringing together practitioners from various disciplines and backgrounds, and foraging new methods of engagement within the community through discussions, presentations, workshops, screenings and other interactive approaches. It was a pleasure for Unbound Studio to showcase at 2nd Little Cinema Experimental Film and Video Festival in Kolkata and to meet and have conversations with like-minds and platforms. We saw some stirring and powerful works presented by Difference Screen, It was an interesting compilation of films sourced by Bruce Allan and Ben Eastop co-curators of the Difference Screen project. Commendable amongst the shorts was The Woman in Pants by Abounaddara from Syria, and My Love for you Egypt Increases by the Day by Heba Amin. Some of the greatest works are made in the most testing of times. Thanks to Manas Acharya of Studio 21 for hosting these fabulous line-ups and to Madhuja Mukherjee from TENT for the initiative. Also to Difference Screen UK for the screening and we hope to continue this dialogue ahead. In my city, Kolkata (Calcutta), the general consciousness of what’s happening around the world (from politics to arts) was always there for the last hundred years or more. So, when Difference Screen came to my city, I was expecting another familiar experience of film viewing that I have been through from my time of entering into the art world. As a filmmaker, my general tendency was to look more at the technical aspects of the videos that would be screened. But to my utter surprise, the whole myth of ‘knowing’ the planet was doomed, just with the screening of the first video from the Abounaddara series. A lady from the Middle East was talking about her experiences for wearing jeans. I knew that in extremist countries wardrobe banning is a common thing. But the lady and her words took me to the blood, smell and dust of the country she is from. It’s more like a real time experience than reading an article, or seeing some photographs on the virtual medium, even a well developed commercial documentary does not offer this experience. As the screening continued I was travelling through the world, a confused nation, a war wrecked nation, a revolution on its way, a beautiful dream of a man and his father and so on. It was straining at my head, not due to the fact of watching videos for a long time, but the reality around me was making me weak, making me question my beliefs, my ideas and significantly the work I am doing. I do consider myself a socially and politically conscious artist, but with the Difference Screen experience, a few fundamental questions were raised again within me. Does my medium of art, my work, have any reaction on the present state of humanity? I believe there are two ways, either you depict what’s happening or else you must provide the imagination of change. If we are working seriously enough on these two aspects, there can be thousands of videos like these from my own country. But alas! We hardly try to do it, to do something which is as good as truth, not a fake marketable piece of art for money or international recognition. At the end of this experience, when I said goodbye to Difference Screen, I was left with a new vision for my city, a new dream of change and a resurrected dream to change, to have a beautiful and peaceful world. Calcutta is a challenging place with no half measures. For many people home is the street. The Calcutta administration tried to ban the use of hand pulled rickshaws years ago, to no effect. Today they are still a common sight walking and weaving alongside Suzuki cars and Tata trucks. Contemporary Bengali writers Amitav Ghosh Calcutta Chromosome, Kunal Basu Kalkatta and Amit Chaudhury Calcutta evoke the spirit of the city. In the foreword to the first edition of his earlier history of the city, Calcutta, Geoffrey Moorhouse wrote: ‘In a sense, the story of Calcutta is the story of India …It is the story of how and why Empire was created and what happened when Empire finished …The imperial residue of Calcutta, a generation after Empire ended, is both a monstrous and a marvellous city. Journalism and television have given us a rough idea of the monstrosities but none at all of the marvels. I can only hope to define the first more clearly and to persuade anyone interested that the second is to be found there too’. Geoffrey Moorhouse succeeds triumphantly in his aims. First published in 1971, this title has stood the test of time. Remarkably it was the first full-length study of Calcutta, seat of the British Raj, since 1918. ‘The book is organized out of a profound understanding of the true issues and is brilliantly executed’ – Paul Scott, “Guardian”. Difference Screen was well received at all venues in India. Our thanks to everyone who supported us and to Madhuja Mukerjee, Anirban Sarkar, Aditi Kulkami, Uma Ray and R Dhanya for their texts. Difference Screen has only evolved through the generosity of all the artists and filmmakers whose work we have shown. The Faculty of Fine Art at Santiniketan is about to make an artists film and video archive. Artists’ experimental film is still little seen in India and we will approach artists to see if work from Difference Screen can be included in the archive. The resumé 23 January at Cube Cinema, Bristol is the final event in the Difference Screen project funded by Arts Council England. Spinoffs – awaiting confirmation – will continue with interest for similar programmes from Mark Williams in NZ, Oksana Gryshchenko in Kiev, Monica de Miranda in Lisbon and a project focussing on migrations at the Centre for Cultural Decontamination CZKD Belgrade. Many thanks to Difference Screen for putting on this presentation – an eclectic mix of international short films on the theme of landscape, identity and culture – at Arnolfini, Bristol recently. I was at times amused, unsettled and curious and at others completely non-plussed and irritated. A thought provoking and thoroughly agreeable way to spend a Sunday afternoon. Meanwhile, back at Arnolfini, it was difficult not to notice that the audience was predominantly white British, middle-aged and middle class. So, what of it? Apart from the fact that the films deserve a wider audience, does it matter and what can you do to attract a more diverse audience? And then I disappeared down a rabbit hole wondering about arts education, the funding of the arts in general, how do you make people more visually literate and willing to move out of their comfort zones, and why do people make the effort and part with their cash for an event anyway? I didn’t reach any conclusions of course and I imagine that it won’t be resolved any time soon. The idea and the ambition around starting Video days in Bol was to open a dialogue with a broad audience, familiarize the public with contemporary art and to entice curiosity. This is precisely why I believe that Bol and summertime present the ideal setting for commencing the cycle; due to my personal connections with the village of Bol, the landscape and the people, but also due to the fact that Bol is not merely a well-known tourist destination but also a cultural one, ever since the times of Italian artist Tintoretto whose painting “Madonna and Child” has been a part of the collection of Dominican Monastery in Bol since 1563. For 2015 Renata invited curators from Croatia, Canada, the USA, UK and Serbia bringing together a stimulating and wide ranging programme. Each evening had a different focus beginning with shorts from Dalmatia, considering the workplace and what it means, gestures, landscape and identity shaped by recent events and Low-Fi video from Belgrade. Bol boasts two open air cinemas, our screenings took place in both. 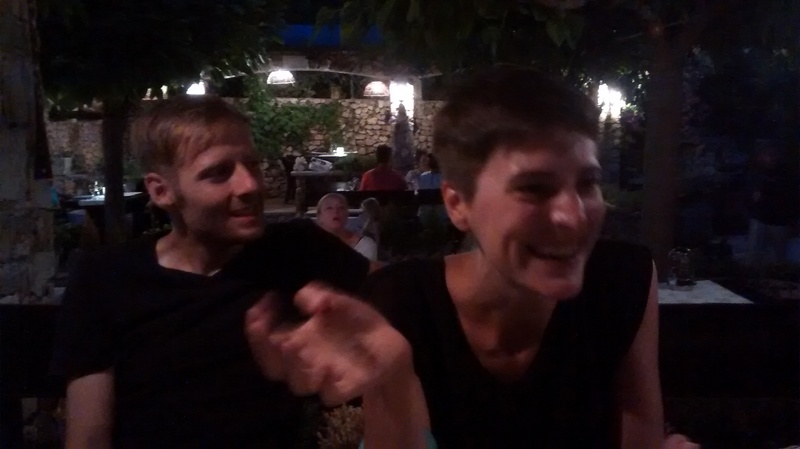 It’s the fourth year Renata has organised Lovely Days on the Croatian island of Brac. Busy and bustling at the peak of the holiday season, Lovely Days was taken up walking and swimming with many asides for coffee and conversation, discussion and delicious seafood while anticipating the evening screenings. Unscheduled thunderstorms brought the opening event indoors. The programme started with films selected by Alen Munitić, director and main selector at the Mediterranean Film Festival Split (FMFS). Alen Munitić is also the organiser of Kino Mediteran, a project aimed at revitalising cinemas throughout Dalmatia. Munitić’s programme featured films shot in the Dalmatia region and the formidable Ana the Square by Jelena Novaković a documentary peppered with dark humour on the life and times of a street seller in Zagreb. For full details of Lovely Days programmes and poster see www.lovelydaysbol.com Here are some moments I remember. Thank you Renata for a unique event. We hope to be in the audience next year! 2 July. On one of the hottest days of the year we boarded IC 146 Berlin – Hannover – Amersfoort – Utrecht Centraal – Den Haag, an old train. The air conditioning began to fail somewhere before Hannover. Staff brought boxes of bottled water and moved us from one carriage to another. Later as it became apparent it wasn’t an isolated carriage without a/c, the system packed up altogether and getting hotter and going ever more slowly we eventually came to a stop at Rheine, where a sorry mass of confused people evacuated the train and were left wondering what to do. Inundated booking office staff stamped forms and issued refund notices. Our new ticket showed an alternative route and we eventually boarded a train, running too late it seemed, for the scheduled change at Duisburg but a tannoy suggestion for Oberhausen worked out and we arrived in The Hague at 20.52. Three and a half hours late, with the exceptional heat behind us we settled down to supper with Jessy Rahman and Marlies Adriaanse, many thanks to them both and others at Quartair who helped to make the weekend a success. Quartair was founded in 1992 as a non-profit organisation by a group of young artist graduates from the Royal Academy of Fine Arts in The Hague. It is one of the longest running artist-run-spaces in the city. Built in the early 20th Century as The Hague bread factory, the building, an enormous bakery, was squatted by artists who were later awarded a substantial part of the space by the municipal council. Renovated in 2010 Quartair currently houses 12 artists studios and a 200 m2 gallery. 3,4,5, July. The Difference Screen weekend was supported by Quartair as part of an on going initiative for exhibitions, projects and exchanges with artists and artist-run-spaces. Projected works installed in the gallery preceded three evening programmes. These began on Friday with Identity including the internet and social media as tools for change an international programme introduced by Bruce Allan and Ben Eastop. Saturday continued with a programme from the Netherlands entitled I’m a stranger here myself presented by curator and theorist Albert Wullfers. Sunday evening concluded with Humour and Survival in Adversity four recent films from the Republic of Georgia. Many of Quartair’s long standing supporters came to see the films – we need not have been concerned that sunshine would keep them away. They included Rosh Abdelfatah director of the Arab Camera Festival, who brought Hassouna Mansouri from Rotterdam. Rosh is from Damascus, Syria, Hassouna a Dutch film critic and writer born in Tunisia. Nico Bunnik and Andre Bijma from the film initiative Filmstad The Hague saw the set up at as having potential for the future. Paul Donker Duyvis joined us from Amsterdam. Many people stayed after the screenings to discuss what they had seen. The Hague is a very beautiful and open city with wide streets, trees, canals and North Sea beaches 15 minutes from the centre. Everyone cycles in Holland, bicycles are second nature to the Dutch as horses are to Mongolians. The huge dunes on this coast are notable for two panoramic works. The Panorama Mesdag painted in 1880 by Hendrik Willem Mesdag a notable marine painter of the Hague School, and Celestial Vault / Panorama in the dunes by James Turrell 1996. Thinking of difference as a sometimes driver of extreme intolerance, The Hague is also synonymous with international law, peace and diplomacy. It is home to the International Court of Justice, the only legal body of the United Nations outside New York. Difference Screen presented at Abteilung für Alles Andere on Wednesday 1 July 2015. An artists’ run space for 25 years Ackerstraße 18 has a particular niche in the Berlin art scene; the Abteilung is run by Stefan Riebel and his sister Ulrike. A further surprise was talking with Gregor, an artist who had grown up in Luckenwalde who wondered what on earth could have taken us to the former East German city he had left as a teenager. I spoke to him about Displaced and reminded him of the Mendelsohnhalle. 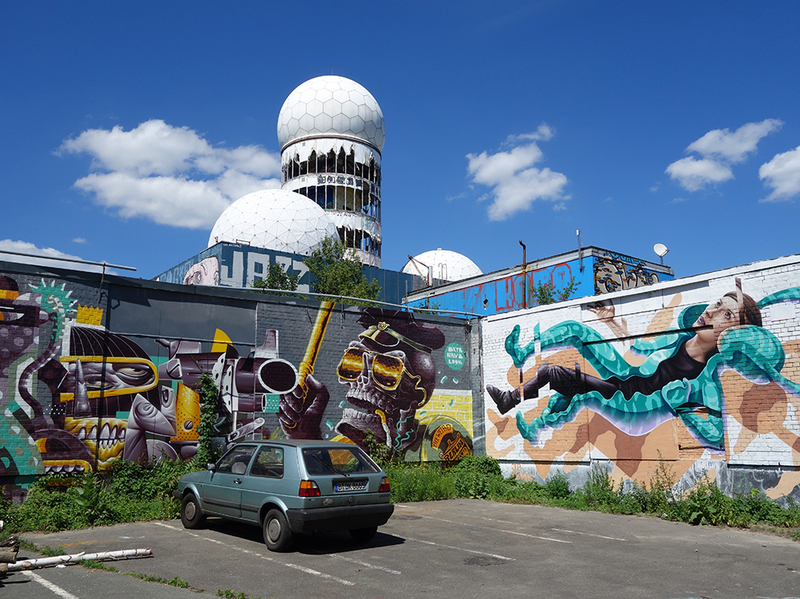 By chance we had unwittingly seen Gregor’s graffiti work at Teufelsberg, The Devil’s Mountain the day before. Teufelsberg, a huge artificial hill in the Grunewald Forest built from the rubble of the destroyed city after WW2 has an extraordinary history. Located in the former British sector of Berlin, the 380ft hill offered the perfect place for the listening station built and operated by the US Army Security Agency (ASA) and UK Government Communications Headquarters throughout the cold war. It was abandoned after the collapse of the Soviet Union. Buried beneath the hill is an unfinished military-technical college (Wehrtechnische Fakultät) designed by Albert Speer. Istanbulʼs main street, Istiklal, is a constant human tide across its width, flowing past shops, restaurants, and enticing side streets, all day and late into the night – like the Bosphorus itself which separates east and west. We are drawn time and again into this human surge to take us into different parts of the city and, on one occasion, come across SALT Beyoglu. The space is filled with high, curling white walls which, it turns out, constitute a laser-cut reproduction of part of the coastline, an installation by Neyran Turan. His silent movie, Wanderer above the Tanker, tells of a dramatic disaster in which a 100,000 tonne oil tanker collided with a freighter which leads to a massive oil spill and environmental catastrophe (many such accidents have happened). The tanker is so huge it is stuck in the strait and cannot be moved. After several years it becomes part of the city-scape, and is colonised. I imagine shops and businesses set up on the decks and gangways, it’s marine architecture gradually being transformed into city architecture, but here and there a porthole or bulkhead doorway give away the area’s ship-origin. The Bosphorus no longer separates the European and Asian halves of the city, now it is easy to pass from one side to the other. We are in the excellent Mephisto book and music store, also on Istiklal, with an impressive collection of legendary rock vinyl. Iʼm looking for a book to read, and pick up Orhan Pamukʼs The Black Book, recommended by our friend and host Denizhan Ozer, who has been instrumental in making our screening at Summart possible. Reading it later, I get to Chapter 2, and here is another iteration of the disappearing Bosphorus. According to a French geological journal, the Black Sea has been getting warmer and the Mediterranean colder. Tectonic plate movements cause the Dardanelles and the Bosphorus to rise – their waters draining into vast underground caverns. Daisies and grass start to grow on the newly exposed slopes, and new neighbourhoods spring up on the muddy wasteland where relics of history lie covered in dried seaweed. In Mónica de Miranda’s film An Ocean Between Us ships become a stage of metaphorical transits; different worlds linked by an umbilical cord of maritime travel that reaches across oceans. Migration is also implicit in Gesa Matthies’s excellent short film Hassan et Amira – Lettre/s d’hôtel/s in which hotel signs in Marseille’s run-down district of Belsunce share a split screen with a typewriter to spell out a letter that imagines the lives that have passed through. The importance of language for immigrant communities – and its constituent signs and codes – is taken up in films by two New York based artists in the programme – Barbara Rosenthal’s Secret Codes and Shelly Silver’s 5 Lessons and 9 Questions about Chinatown, about which the artist talks of the complex linguistic texture of Chinatown, it’s vitality and the tragedy of its history, linking past, present and future. Phil Dadson’s Echo Logo (Polar Projects) presents perhaps a more primitive kind of communication in which the calls and rock banging in a performance by the artist and Antarctic scientists’ echo against a huge glacial cliff. In my imagination I’m taken back to an earlier human existence, when ice sheets covered much of the world and small communities eked out an existence near the ice frontier in a frozen south European tundra. 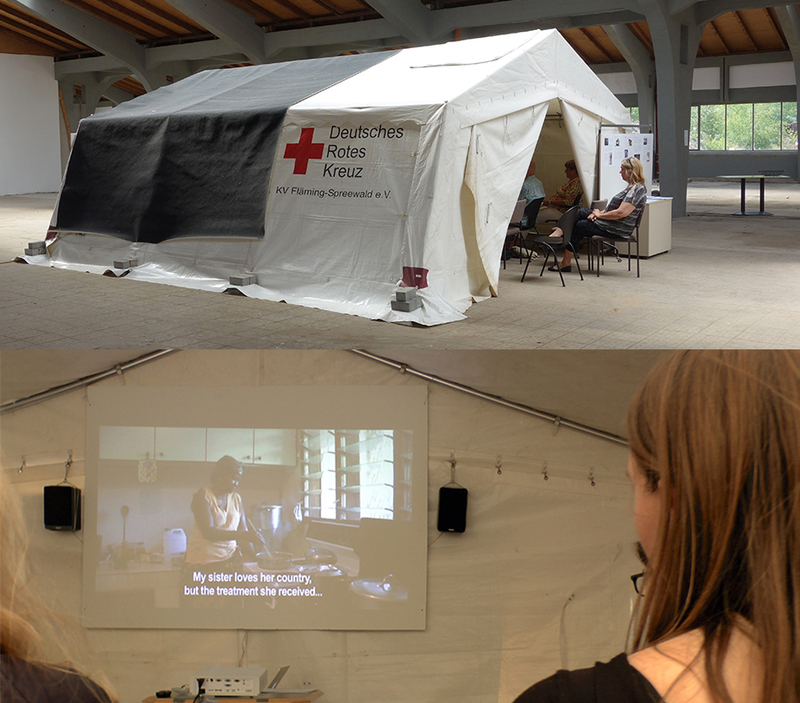 Heavy rain before the screening had diminished our audience somewhat, but they were attentive throughout. The invitation to take part in Displaced came from Dan Farberoff an organiser of the festival, who has also worked with Difference Screen since its inception. Dan made our website and continues to assist with technical issues behind the scenes. Sourcing films about displacement was a challenge and we are grateful to Neville Gabie, Abrie Fourie and Marie-Hélène Gutberlet for their advice on films from Africa. Our first programme began with Migration Standards by Borjana Ventzislavova, a reflection on the situation faced by migrants from outside the EU vis a vis principles of peace, democracy, solidarity, justice, respect for human rights and freedom of movement that the EU invokes. The programme continued with Stand Here! Csaba Nemes’ powerful puppet film, concerning common prejudice faced by the Roma community. In Speechless Salomé Jashi records the silent expressions of Georgians after the 2008 war with Russia. This proved so disturbing that a couple in the audience who have been refugees themselves left the screening. For further programmes Difference Screen invited guest artist speakers Verena Kyselka, Andrew Darke, Sophia Tabatadze, Guy Wouete and Teboho Edkins. Verena’s experimental documentary The Formosa Experiment, part animation, part enactment, weaves many threads touching on global political and economic conflicts, environmental issues and contemporary history. What would happen if an island completely disappeared and its people reemerged elsewhere in the world? In the same programme in Laura Mulvey’s 23rd August 2008 Faysal Abudullah speaks of his relationship with his younger brother, Kamel, and in the process evokes the lives of Iraqi intellectuals of the left, driven into exile in the early 1980s by Saddam Hussein’s regime. The evening concluded with Neville Gabie’s Collective Breath its emission a signal of our common entity. Displacement informed by issues of ownership was highlighted on the 27th in two films, Sophia Tabatadze’s Pirimze, and Ownership by Andrew Darke a work in progress with the Yorkley Court Community Farm. Both are current works reflecting shared concerns through different histories. Pirimze set in Tbilisi, Georgia considers a building and its workers through the transformation of late soviet society of the 1970’s to the contemporary marketplace economy. Ownership gives a sense of the three-year struggle by a community group who occupied a farm caught in a 40 year legal bind over ownership in Gloucestershire in the UK. Teboho Edkins and Guy Wouete joined us on the 28th. In Teboho’s film Kinshasa 2.0 an internet campaign helps in the release of a presidential candidate jailed for talking openly about the lack of democracy. Guy Wouete’s two films Corridor and Next Week address issues of migration. Both are part of a multimedia installation Next Week. Guy writes “These works are a result of a journey to Malta in May 2010 where I did research in three migrants camps, Balzan Open Refugee Camp, Marsa Camp, the Hal-Far Tent Village Open Centre for Refugees. The idea was to observe the immigration/ immigrant’s reality beyond the conceptual and the political mind but also to reconsider Darwin’s term of evolution of the species and the natural selection. “Coming from Cameroon in Central Africa, I know the immigrants’ stories from inside, I saw that reality, I live in it and I experienced it somehow.” Being in Europe, I decided to look at this question of migration from another perspective, from within the so-called paradise, with the eyes of those who had enough of their sufferings and their problems. Who wanted to make it somewhere else. 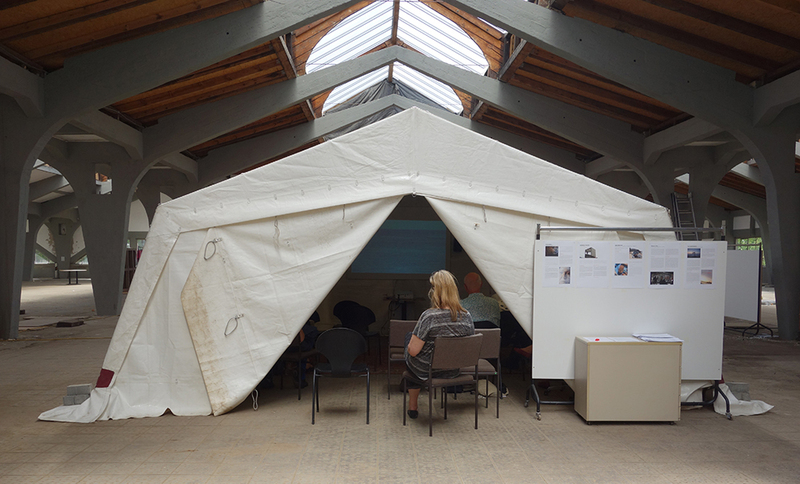 Two afternoon screenings in the Schlachten “Difference Screen – Displaced” presentation in Luckenwalde at the end of June 2015 crystallised my views on immigration policy in the EU and USA. Believing as I do that international policy pursued by the USA, NATO and their allies over the last 50 years is substantially the reason for the current strife in the middle east and to a significant degree in Africa, I now see that the only moral position for the west is to welcome all immigrants and refugees. My growing awareness over the last few years that a large proportion of current global difficulties arise out of the concentration of power into the hands of too few people who do not have the interests of the majority, human, animal or biosphere, at heart has made me realise that vast numbers of us across the world are under attack from the same forces. This shows the importance and urgent need for cross cultural links. Powerful films which show the realities are important calls to arms for us all and artist and cultural producers must look beyond their own community to forge new links with unions and workers worldwide. Entrance free, limited places. / Entrada livre, lugares limitados. Artists’ Cinema or Kino umjetnika is an ongoing project and a screening program series that takes place at the Gorgona Hall, a cinema, a theatre, a multi purpose auditorium located at the Museum of Contemporary Art in Zagreb, established in 2012. Kino umjetnika / Artists Cinema has been developed to introduce contemporary artists and their cinematic and video works, created at the meeting point of contemporary art and cinema, film and visual arts, presenting recent production of film/video outside the context of social production of entertainment and spectacle. Visiting artists and curators are invited to introduce and discuss the program. In this way the task of Kino umjetnika is to intervene within the program scheme of the museum through the presentation of film/video works, as well as to try to replace the lack of international programming and make cross-cultural exchange more intense and dynamic, intensifying the dialogue and exchange on the cultural scene of the city, connecting artists, curators, and critics with the public. By so doing Kino umjetnika contributes to a more active internationalization of the local art scene engaged in the media of moving pictures. Difference Screen, an international selection of different films and voices was welcomed with great interest. The program has brought to Zagreb different geographies, languages, cultural contexts and new artistic positions we didn’t know of. The importance of Difference Screen was to bring to the audience new knowledge of different countries, landscapes and neighborhoods, global and local narratives – from Northern to Eastern Europe, from Finland, Poland, Croatia, to Georgia, Pakistan, Egypt or Syria, to New York’s Chinatown. With works by Anna Molska, Inger Lise Hansen, Shelly Silver, Riaz Mehmood, Sophie Nys, Renata Poljak, the emergency film collective Abounaddara and others… selected films and videos included in the screening program explored the known and unknown, visible and invisible, poetical and political, unfolding recent or historical events, and bringing to light the creative potential of diversity. Thanks very much to Branka for inviting Difference Screen to show at The Museum of Contemporary Art, Zagreb. We enjoyed a good turnout despite a rainy Tuesday night in February with other openings in the city. Igor Grubic joined Difference Screen to present his film Capitalism follows Socialism a reflection of Croatian reality in the 1990’s when privatization led citizens to the edge of poverty. My thanks to curator Tihomir Milovac for showing me around the museum collection and recommending the work of Hungarian artist Csaba Nemes to Difference Screen. Staying in the museum for four nights was special, as was visiting Kino Europa and meeting Renata Poljak to discuss her Lovely Days screenings at Bol. Renata’s works Jump and Staging Actors, Staging Beliefs are very much embedded in the Difference Screen project.